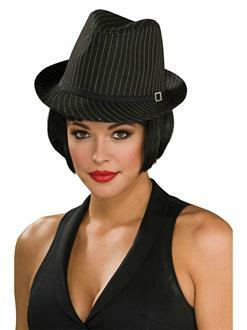 Have some fun in the Black and White Pinstripe Fedora Hat. This one of a kind piece will fit perfectly with a suit or even just with jeans and a tee. The hat can be worn for lots of special occasions and on more chill days as well. Grab this Fedora Hat and transform your looks into a dapper gentleman, gangster, or a fashionable character!